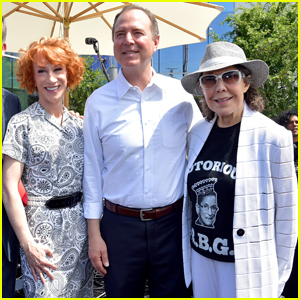 Kathy Griffin and Lily Tomlin are all smiles while attending the grand opening of the Los Angeles LGBT Center’s Anita May Rosenstein Campus on Sunday (April 7) in Los Angeles. 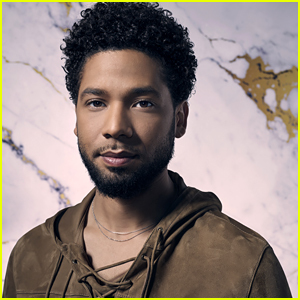 The two ladies were joined at the event by Wilson Cruz, Frankie Grande, Lesley-Ann Brandt, Johnny Sibilly, Antonio Marziale, VINCINT, Adam Shankman, Betty Who, August Getty, Miles Jai and Mayor of Los Angeles, Eric Garcetti. The Anita May Rosenstein campus is said to be the world’s first intergenerational LGBTQ facility, serving both LGBTQ seniors and youth. The Campus includes drop-in centers for both youth and seniors as well as 100 beds for homeless youth. The Ariadne Getty Foundation Youth Academy provides educational services. Phase two of the project, set to be completed in a few months, will include 99 apartments for seniors. 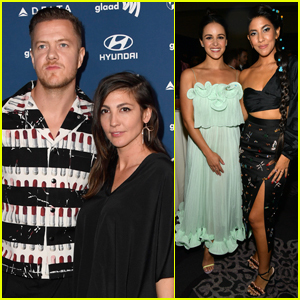 Dan Reynolds and wife Aja Volkman hit the blue carpet at the 2019 GLAAD Media Awards on Thursday night (March 28) at the Beverly Hilton Hotel in Beverly Hills, Calif.
During the show, the 31-year-old Imagine Dragons frontman was joined on stage by The Good Place‘s Jameela Jamil as they presented an award together. 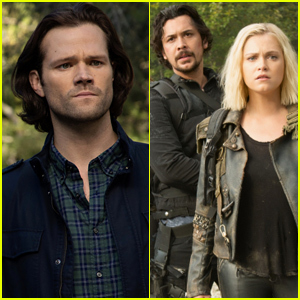 Other stars at the awards show included Brooklyn Nine-Nine stars Melissa Fumero and Stephanie Beatriz, Star Trek: Discovery‘s Wilson Cruz, and The Walking Dead‘s Daniel Newman. Walking Dead's Sonequa Martin-Green & Steven Yeun Reunite! 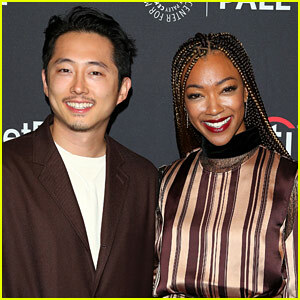 Sonequa Martin-Green and her The Walking Dead co-star Steven Yeun reunited at the red carpet this weekend! The stars stepped out at the PaleyFest panel for Sonequa‘s Star Trek: Discovery and Steven‘s Twilight Zone held at the Dolby Theater on Sunday (March 24) in Los Angeles. Sonequa was joined by her co-stars Ethan Peck, Doug Jones, Anthony Rapp, Wilson Cruz, Mary Chieffo, Tig Notaro, and Shazad Latif at the event. FYI: Sonequa is wearing an Adeam top and pants. Glenn Close and Danai Gurira walk the carpet at the 2019 Costume Designers Guild Awards on Tuesday night (February 19) at The Beverly Hilton Hotel in Beverly Hills, Calif.
Glenn was honored with the Spotlight Award at the event while Danai was there to support Black Panther costume designer Ruth E. Carter, who received a Career Achievement Award. Ruth also won the Excellence in Sci-Fi/Fantasy Film award! Other stars at the event included Marisa Tomei, Christina Hendricks with Mad Men‘s Matthew Weiner, The Assassination of Gianni Versace‘s Judith Light, Star Trek: Discovery‘s Sonequa Martin-Green and Wilson Cruz, Crazy Rich Asians‘ Nico Santos, GLOW‘s Chris Lowell, The Marvelous Mrs. Maisel‘s Nolan Gerard Funk, Grace and Frankie‘s June Diane Raphael, Gotham‘s Michael Chiklis, and The Man in the High Castle‘s Jason O’Mara. FYI: Glenn is wearing a Max Mara blouse, jacket, and trousers. Danai is wearing a Loewe dress. Sonequa is wearing a Simone Rocha dress. Marisa is wearing a Dundas dress. Chris is wearing Ted Baker London. FYI: Rebecca is wearing a Zhivago dress, Sarah Flint shoes, and Tacori jewelry.